To provide residents with a comfortable, upscale continuing care community. A highly rated health and long term care center. An opportunity for an active and carefree lifestyle. A loving and care-giving quality environment for surviving spouses. A comforting sense of security and peace of mind for you and your family members. In 1986, during a meeting of the presidents of the seven Greater Tampa TROA (MOAA) groups, COL Sidney S. Davis, USA, proposed the idea of developing a local retired military officer’s community. COL Davis is credited with being the visionary for the Tampa Development that ultimately became Freedom Plaza. The Retired Officers’ Village of West Central Florida was ultimately formed as a result of that endeavor. In 1988 two Corporations were formed in order to achieve the goal. Retired Officers’ Foundation, Inc. (ROFI) and Retired Officers’ Land Corporation (ROLC). Many changes and partnerships were formed over the next few years resulting in a legal partnership with Freedom Group in 1990. ROFI and ROLC merged into one Corporation which is now known as Retired Officers’ Corporation. (ROC) Freedom Group and ROC opened Freedom Plaza on July 31st, 1992. The mission of Retired Officers’ Corporation is to assist Freedom Plaza in providing a coordinated and seamless system of services and resources to market Freedom Plaza, and to provide continuous assistance to the resident of Freedom Plaza and their surviving family members. WHAT DOES ROC DO TODAY? ROC continues to have a legal partnership with Freedom Plaza. We are pleased to continue our dream of making life easier for the retirees who call Freedom Plaza home. ROC’s Business Office is located in Freedom Plaza. 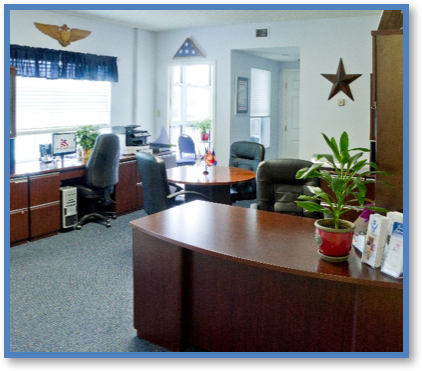 With an open door policy, ALL residents are free to seek assistance with whatever issues they may be having. If ROC can’t help, they will find someone who can. ROC offers, complimentary: Notary Public, faxing, laminating, tax forms, travel arrangements, personal affairs assistance, computer assistance, flag donations and upkeep, Memorial Day Program, memorial services, Veterans Day Program, survivor assistance, Medicare and Tricare Claims, Military Retiree Assistance: i.e. ; MyPay, ID cards, SBP, and much more! All ROC services are FREE to Freedom Plaza Residents.